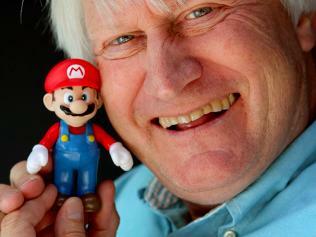 The news just keeps on coming with EB Expo confirming Charles Martinet, the magical voice behind Mario will be in attendance this year. Consumers and EB Expo patrons can find the voice of everyone’s favourite plumber at the Nintendo booth. If you’re lucky enough, you may even get a chance to sit and play a game or two with him. No doubt visitors throughout the three day extravaganza will be egging Charles on to throw a few Mario voices around, and I’ll most likely be amongst them. If you see someone at the Nintendo booth who sounds uncannily like Mario, you’ll know why. Wii U hands-on and Charles Martinet to boot. Nintendo, you really know how to please the masses, don’t you?